These fascinating 4 days saw the London Marathon, The F1 Bahrain Grand Prix and key Premier League Football weekend for all to enjoy but on the Cricketing scene it saw many key clashes in the Division One and Division Two championship. In Division One 8 out of the 9 teams were in action. The weather for all games was not expected to be good, with showers predicted throughout the whole 4 days. In Division 1 the stand out game had to be Lancashire Vs Warwickshire, at Aigburth. This game featured last year’s champions (Lancashire) against Warwickshire who narrowly missed out on the final day at the end of last season. Lancashire lost their first game in their defence of their title to Sussex in a crunching 10 wicket defeat. In opposite Warwickshire had the perfect start with a 2 wicket victory over Somerset in a thrilling game. Warwickshire won the toss and elected to field. The Bears then truly dominated Lancashire bowling them out for 250 of 107.2 Over’s taking all 3 bonus points on offer. Maddy was stunning as he took 4-39. The Bears in reply made 329 but a 224 partnership between Maddy (112) and Clarke (140). Lancashire collapsed in their second innings to a total of 148 mainly due to Barker and Patel who both picked up 5 wicket hauls. Warwickshire needed just 70 to win a game which was constricted with showers. The Bears made hard work of their target and at one stage the Bears were 52-5 but Porterfield and Ambrose with a 4 of the last ball saw them home to a 5 wicket victory, 2 wins for the Bears but 2 defeats to the champions. Elsewhere, rain affected most of the Division 1 and 2 games. In division 1 Nottinghamshire faced a Somerset side who lost their first game to the Bears. 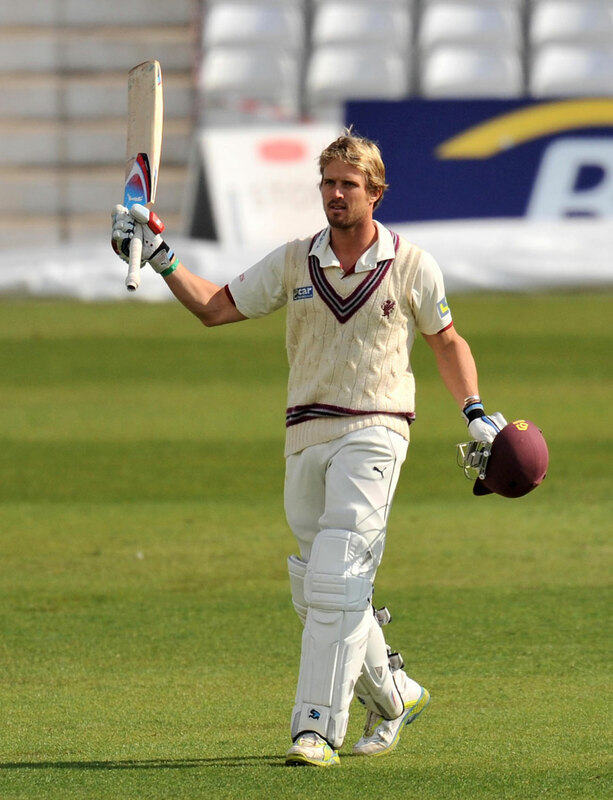 Somerset then would have been disappointment with the constant rain which eventually ended the game as a draw. Somerset dominated the game when they were on the field bowling Nott’s out for 162 and then posting a huge 445-2 declared, but Nott’s managed to get a draw even though they ended on 169-4 when the day was abandoned due to the weather, a draw would have to be enough for both sides. At the Kia Oval, newly promoted Surrey and Worcestershire would both have to settle for a draw in their game as rain affected another game. Surrey were put into Bat but could only make 140, in reply Worcestershire faired not better as they were bowled out 119. Surrey made 224 in their second innings but constant rain showers eventually caught up with them, and the game ended in a draw when Worcestershire were 94-1. Another draw in the LV=CC shows that the rain really affected all the LV=CC games. If you needed more prove then a draw at Lord’s between Middlesex and Durham gave you that. Strauss played for Middlesex but his dreadful form continued as he was out for a duck in his first innings and 6 in the second. 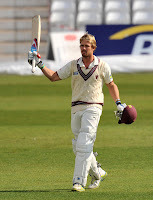 Middlesex made 188 despite a Strauss’s woe’s but in reply Durham made 238. Middlesex then came back but could only manage 179 but just when the game looked like it would stop due to rain the Umpire’s managed to get the players out and a dramatic final hour followed leaving Durham 82-6 but the day reached a close and neither team won. The games from the 19th - 22th were always going to end in a draw, but the Bears were the only team to prove there dominance and despite the weather win a crucial game against Lancashire. Warwickshire fly to the top of the table after just 2 games but defending Champions Lancashire are stunned as they are 8th yet to win a game.